UNDER THE CARIBBEAN SUN – World-famous Grand Anse Beach just outside the luxurious accommodations of the Spice Island Beach Resort in Grenada is a highlight of an escape to the tropics, especially in winter. That’s true whether your joy comes from a solo stroll in the surf at sunset or burying your dad in the warm sand. 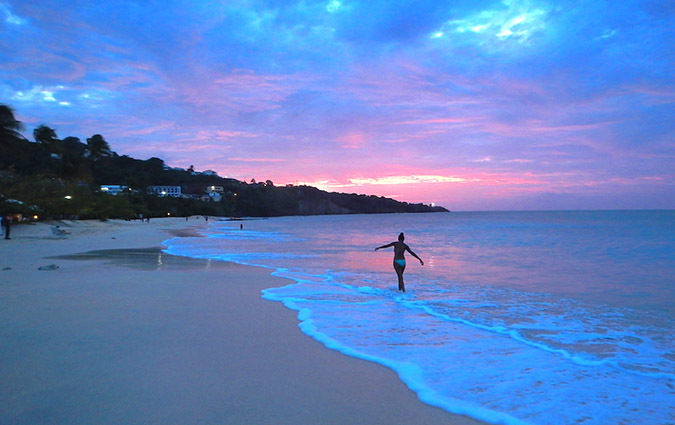 Grand Anse Beach; image by Tom Adkinson. Grand Anse Beach stretches from just beyond the 64 suites of the AAA Five Diamond Spice Island Beach Resort toward the capital of St. George’s on Carenage Harbor. Many visitors to Grenada describe Carenage Harbor and St. George’s as one of the most beautiful cruise ports in the southern Caribbean. Grenada, known as the “Spice Island” because of production of nutmeg, cinnamon and other spices, is just 12 degrees above the equator and only 100 miles from Venezuela. This speck of paradise is only 21 miles long and 12 miles wide. Its culture is a grand mash-up of French, Spanish, African, Amerindian and British influences. 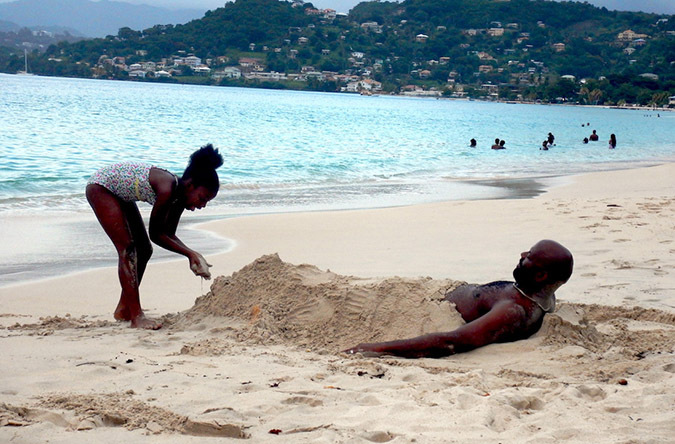 Grenada beachcomber; image by Tom Adkinson.